Joel 2:31, The sun shall be turned into darkness, and the moon into blood, before the great and the terrible day of the LORD come. Acts 2:20, The sun shall be turned into darkness, and the moon into blood, before the coming of the great and awesome day of the LORD. Revelation 6:12, I watched as the Lamb broke the sixth seal, and there was a great earthquake. The sun became as dark as black cloth, and the moon became as red as blood. So much is being said about the upcoming Blood Moons on Passover and Tabernacles in 2014 and 2015. A special significance in the Signs in the Heavens is the connection in 2015 to the 2 Solar Eclipses that will happen at the time of both New Years. According to NASA’s Solar Eclipse site, these will be the only Solar Eclipses for 2015. According to my studies, the Solar Eclipse and the Lunar Eclipse have never happened in the Feast/Holy Day pattern together as they will in 2015. Blood Moons on Passover and Tabernacles, and Sackcloth Sun on both New Years. I may be wrong, but I don’t see it in the other Blood Moon Tetrad cycles of 1492, 1948 and 1967. A solar eclipse happens when the moon is totally dark and comes comes in between the Earth and the Sun, causing the light of the Sun to be blocked. Below is a photo of a solar eclipse. During a full Sun, the light of the day would turn dark. In the Blood Moon Tetrad cycle of 1967 and 1968, a total solar eclipse took place on the Eve of the Feast of Trumpets (Rosh Hashanah) 9/22/1968. This was the last day of the year of 5728 on the Hebraic calendar. The next day the year changed to 5729. That day on the Hebraic calendar was Elul 29. 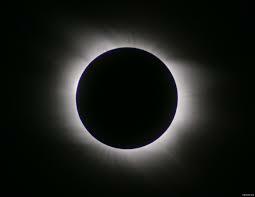 I have found some very interesting information about these solar eclipses that I will bring out in the next few days. Thank you for sending these to me, I cannot get into Linkedin account…… and don’t have time to try. Have a Wonderful Holiday Time. Sent to friends explaining the 1492 date!!!!! Sun in same position as creation (28 year cycle) This is the last year in this century that the cycle will fall on the fourth day!!! Kadosh Elyon, author of Meir Enei Chachamim, wrote in his sefer that there are only three times in the 6,000 years of Jewish history, when Birchat HaChama falls on 14 Nisan (Passover). (1) Prior to being redeemed from Egypt. Birchat HaChama prior to being redeemed from Egypt was Nisan 14, 2437 and on Nisan 15, 2448 at midnight Israel left Egypt. Erev Pesach, is the day that we slaughtered the god of the Egyptians (a lamb). (2) Prior to the miracle of Purim. (Birchat HaChama prior to the miracle of Purim was Nisan 14, and Rashi writes that the following year, in Adar, the miracle occurred.) It is worth nothing that Mordechai and Esther were fasting on the 14th, 15th, and 16th of Nisan to prepare for Esther’s plea before King Achashverosh. (3) In the year 5769. (2009) It is worth nothing that 5769 is the eighth year, the year after the Schmittah Year. About Nisan 14, 5769 (April 8, 2009), He writes, “This will be last time ever and shortly afterwards, the Geulah, redemption, MUST come.” Every 28th year Saturn is most visible for the first hour of the night because of the order of the planets creation. Wow this is awesome information, thank you so much. What a blessing this. I am going to give a teaching at a church in our neighborhood on Wednesday evening. May I use this information in that teaching. If you have anything else that would be helpful to the people at the church, could you please forward it along to me? My husband and I have only gone to a few services at this church, they are not up to speed on prophecy and have asked for help.